Shirts With Random Triangles: Michigan adds Indiana high school rising senior linebacker Darrin Kirkland Jr. to 2015 recruiting class. 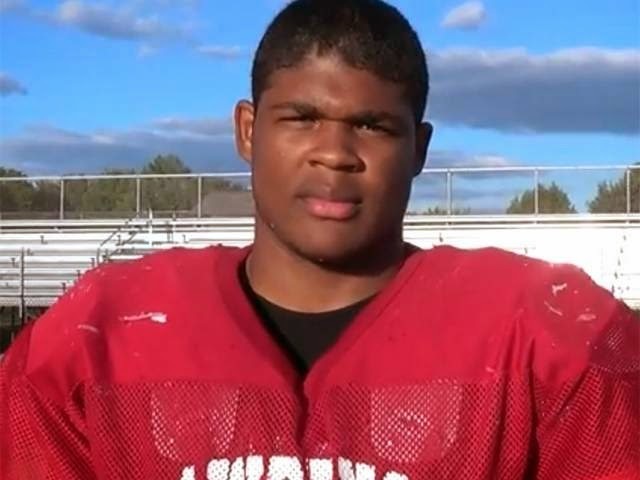 Michigan adds Indiana high school rising senior linebacker Darrin Kirkland Jr. to 2015 recruiting class. Darrin Kirkland Jr. via The Detroit Free Press. The size of Michigan's 2015 recruiting class has increased by one. Indiana high school rising senior linebacker Darrin Kirkland Jr. announced his verbal commitment to the Wolverines via Twitter over the weekend. Kirkland attends Lawrence High School in Indianapolis, In. He stands 6'1" and weighs 233 pounds, and is the seventh member of the Michigan 2015 recruiting class.